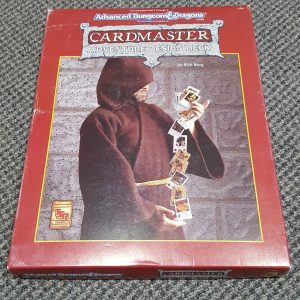 The Card master Adventure Design Deck came with a recent lot of items that I had bought and I became intrigued because it is something that I had never seen before. It comes with a small rules booklet, a bunch of cards for determining dungeon location, treasures, and monsters, and 3 card stock cut sheets of tiles and counters. 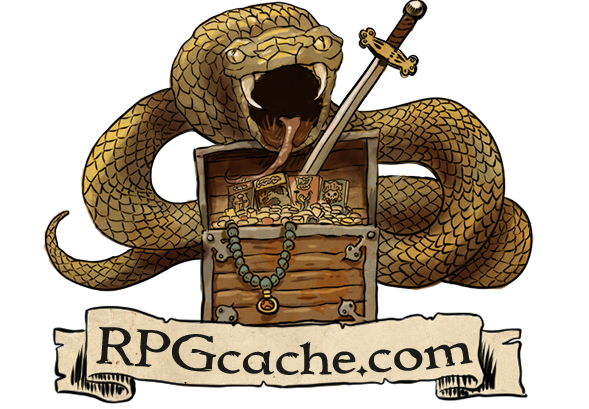 The idea behind the product is that you could use this is a tool to create random dungeons by drawing certain location cards and monster cards or that a DM could use the cards to plan out a dungeon crawl or that someone could play this as a solo quest or that a group could play it together where it might be reminiscent of the Dungeon! board game or that TSR just created this product and had no idea who was going to but it or how they were going to use. I really think the later is most likely as this came out in 1993 and they were just throwing concepts and themes at the wall to see what would stick. It might have been a successful product if they had marketed as a spin off of the popular Dungeon! board game or as a way for player’s to solo adventure. Tonight I am going to run myself through a solo adventure and see if it is any fun. Reporting back soon…. I am back and having read the rules I decided to do quick start solo adventure where I was suppose to find the Giant skull. The adventures are very simple, as they tell you what your character is and what items he has. I played as a 5th level Wizard with special bracers, a healing spell, and a dagger that let me get one extra melee attack. I had 4 1st level spells, 2 2nd level spells, and 1 1st level spell. The spells in quick start for a Wizard are one spell only called fire bolt and based on the level the spell was cast at you got to roll D6, D8, or D10’s against a damage matrix. My first run through was a disaster and it was over pretty quickly for me; poor spell management I think was my downfall. The second run through I did much better, but a bad roll on my only heal spell only gave my Wizard 2 extra hit points. I had made a good dent in the monster cards and checked to see if there was a giant in there and there wasn’t so how was I supposed to get a skull. That is when I realized that the room cards have pictures on them and some of them have skulls so I needed to find a card with a giant skull from the floor of a room on the red level. Okay got it! Third time is the charm. Waa-waa! I did get a giant skull this time, but I died even faster by a pack of Dire Wolves that got some very lucky rolls against me. This might be fun with a couple of friends especially if you have a night planned to play D&D and only a couple can make it, but as a single player most computer RPG games provide a more engaging experience. I also don’t really see myself keeping this in my collection to use as a DM tool as random dungeon crawls are something that I feel like the RPG experience has evolved past. This isn’t the most glowing review, but if you are interested or just a collector of all things D&D I do have The Cardmaster Adventure Design Deck in my eBay store.